C-corporations offer a 21 percent tax rate but have limitations with the way an owner can withdraw cash. In this type of entity, an owner can either (1) take a salary (which gives the corporation a tax deducti on for the amount of salary paid) and/or (2) they can be paid dividends based on their ownership percentage (dividends do not give the corporation a tax deduction for the amount of dividends paid). You might have heard the term “double taxation” as it relates to traditional corporations. Double taxation applies when a corporation pays tax on their income prior to paying dividends because, once paid, the dividends are taxable to the recipient as well. In other words, the company pays tax on the income then distributes the dividends followed by the stockholder paying tax on that same amount when the dividends are received. For family-owned corporations, this is usually not a desirable structure. However, it becomes acceptable if the company plans on perpetually retaining its cash to be used for equipment purchases or growth over the future years. With single-member LLCs, sole proprietorships and partnerships, the owner does not take a salary and can withdraw cash throughout the year at will. With a Sub-S corporation, the owner is required to take a salary but also has some flexibility to withdraw additional cash as well. (There are basis considerations, which are not discussed here.) 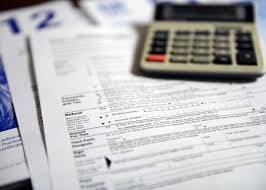 None of these pass-through entities pay tax directly when they file their annual federal tax return. Instead, the income is passed down to the owner and taxed on their personal return at their personal tax bracket. If the owner is eligible to take advantage of the new 20 percent deduction, the effective tax bracket may be less than their ordinary bracket. To view the article published in the Las Vegas Business Press click here. If you have questions about this information please contact us. This entry was posted in In the News and tagged Entity Structure, New Tax Law, Tax Law. Bookmark the permalink.